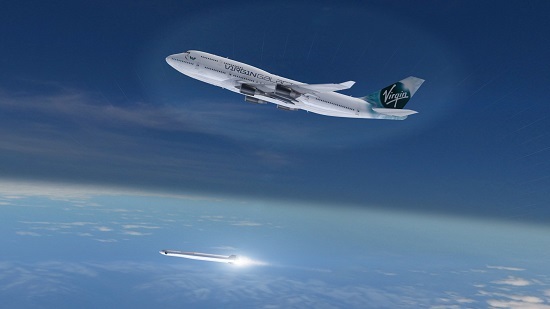 SEATTLE, WA and LONG BEACH, CA – June 25, 2018 (Spaceflight PR) — Spaceflight, the company reinventing the model for launching small satellites into space, and Virgin Orbit today announced they have signed a Memorandum of Understanding (MoU) for a mission to Low Earth Orbit (LEO) in 2019. For a company like Spaceflight who’s business is arranging for small satellites (generally from smaller companies and organizations or for lower budget projects) small launchers can provide schedule reliability and access to orbits less desirable to larger payloads, for direct customers, either you have a small sat you need in orbit soon, on short notice or you need a specific orbit and can’t afford a larger rocket. Spaceflight itself caters to those too small and inexperienced to organize ride share or a dedicated small launch themselves, however if they can get enough business, and enough capacity on larger vehicles, they can sell small launch capacity at a loss and still come out profitable on the basis that small launch provided schedule certainty and versatility makes their service more desirable. Ahh, like all small launchers, the market is to provide small satellites launch on demand and access to specific orbits you can only get as a primary payload, on a per launch basis they are cheaper, though on a per kg basis they don’t match reusable first stage vehicles, however if you can’t afford to wait potentially years for a rideshare opportunity or a large vehicle, or if said large vehicle isn’t available they are a good option. Small LVs target a certain niche where $/kg isn’t as big of a denominator when deciding LSP as much as other factors like time and specific orbit. Likewise, personally I think that more companies like Spaceflight are needed to make it successful, not only to make them easier for their target market to access or even reliable business for the small rockets, but such companies can provide the service at a price somewhere in between that of traditional rideshare and the small rockets, and provide services that represent huge comparative overhead to small sat operators at a more reasonable expense than if the operator did that themselves. If you need to launch 400 kg to LEO, it’s your cheapest option to get a launch where you’re the primary payload. It’s the same payload class as Pegasus, but about 1/4th the price.